In Victorian England, the young and beautiful Alice tells a tale of a strange new land that exists on the other side of a rabbit hole. An invisible cat, a hookah-smoking caterpillar and playing cards that talk are just some of the fantastic things she’s seen during this impossible adventure. Surely this troubled girl must be insane and her doctors aim to cure her with a treatment that will make her forget everything. Alice seems ready to put it all behind her, especially the painful memory of the genie she fell in love with and lost forever — the handsome and mysterious Cyrus. But deep down Alice knows this world is real and just in the nick of time, the sardonic Knave of Hearts and the irrepressible White Rabbit arrive to save her from a doomed fate. Together, the trio will take a tumble down the rabbit hole to this Wonderland where nothing is impossible. The all-powerful Jafar succeeds in making his father love him and forcing Anastasia into thinking she loves him. After Alice, Amara and Cyrus escape, Jafar imprisons the Jabberwocky and calls upon an army of dead soldiers to do his bidding. 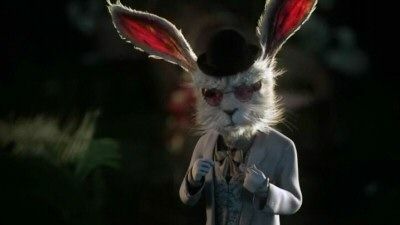 Meanwhile, Alice and the White Rabbit raise their own army to fight Jafar for the realm and a final confrontation between Alice and Jafar takes place at the Well of Wonders. 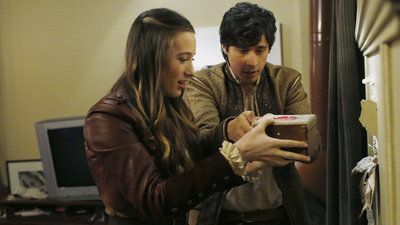 Cyrus and Alice uncover alarming information; the Knave must surrender information to Jafar in order to help the Red Queen. A flashback reveals Cyrus' origin; Alice wants answers from the White Rabbit; disdain between the Red Queen and Jafar comes to a head. 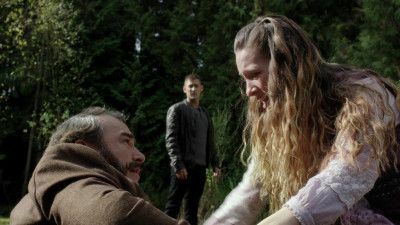 In flashback, the Knave hunts Alice per Cora’s directive and he finds himself striking a deal to get his heart back, while in present day Wonderland, Alice and the Knave’s friendship is tested as he does Jafar’s bidding and steals from her. Meanwhile, the Jabberwocky attempts to free herself from Jafar’s control and Jafar is confronted by his former partner. 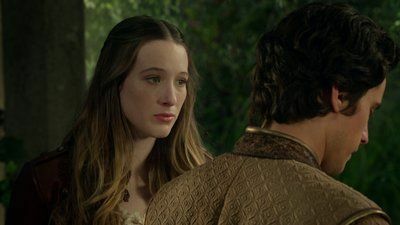 With the Knave's life in danger, Alice must decide on whether to use one of her wishes; Alice learns more of the Knave's backstory through her friendship with Lizard; Jafar's plan puts the Red Queen in a difficult position. 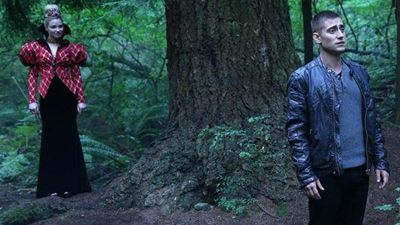 In flashback, Cyrus’ actions lead to a fateful day that leaves his mother near death, resulting in a decision that comes with a binding price he and his brothers have to pay. Meanwhile, after banding together, Alice, Cyrus, The Knave and the Red Queen split up into two groups that leaves the Knave and the Red Queen face to face with the fearful Jabberwocky, and Cyrus’ guilt about his past tests his relationship with Alice. Alice learns her father is in Wonderland and they start healing their relationship; young Jafar is distressed by his mother's death. Will Scarlet and Anastasia pass into Wonderland only to discover it isn't what the imagined; the Red Queen gains her royal status. Lizard is granted three wishes after releasing the Knave; peasants seeking revenge abduct the Red Queen; Jafar learns about the Jabberwocky. 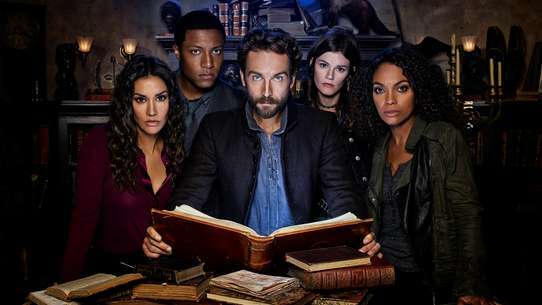 Jafar heads to the asylum to find information on Alice; Alice travels to the Black Forest; Cyrus tries to avoid the Red Queen. 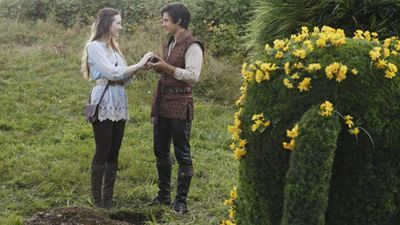 Will Scarlet convinces Robin Hood's Merry Men to steal from Maleficent's castle; Cyrus tricks Jafar and the Red Queen into sending a Bandersnatch after Alice. Alice formulates a plan to rescue Cyrus by retrieving his bottle. Meanwhile, the Red Queen begins to question her role in Jafar's plan while they try to find the bottle as well. Also, the story behind how Cyrus got to Wonderland and how he fell in love with Alice is revealed. 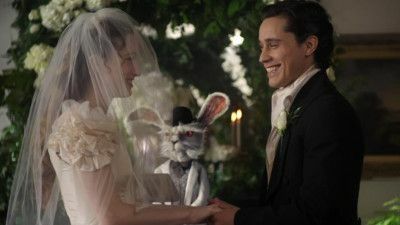 Alice's stories about Wonderland get her admitted to an asylum; right before Alice undergoes a procedure intended to help her forget her pain, the knave of hearts and the rabbit bring her back to Wonderland to find her true love, Cyrus.